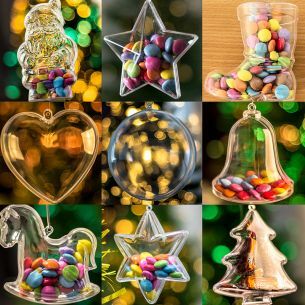 Our clear plastic ornaments come in two pieces. Simply attach the two together and thread a piece of wire or string through the hanging loop on the top and it's ready to hang. 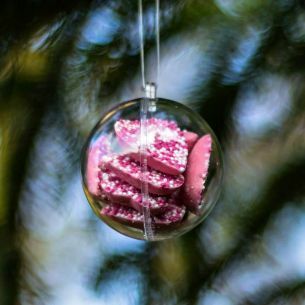 Not only are our ball decorations a perfect way to customise your Christmas tree, but if you just fill them up with something that is meaningful to you or a loved one then you've got yourself a fantastic little keepsake! 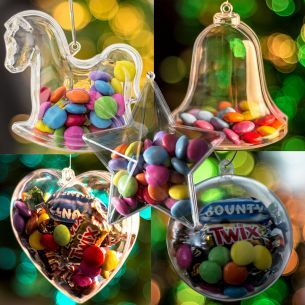 These vercatile decorations are great for a creative individual who likes to add their own unique spin on things. put small battery powered LEDs inside to make them glow! Made from high quality strong plastic. 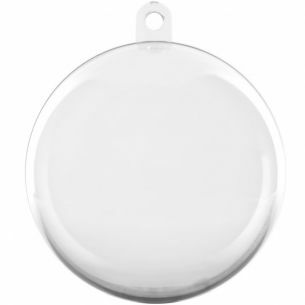 Size: (50mm) Our clear plastic ornaments come in two pieces. Simply attach the two together and thread a piece of wire or string through the hanging loop on the top and it's ready to hang. 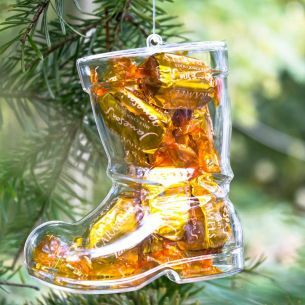 These clear plastic ornaments come in two pieces. Simply attach the two together and thread a piece of wire or string through the hanging loop on the top and it's ready to hang. Great for the creative type with the desire to customise! Literally hundreds of potential uses. As many as you can think of! 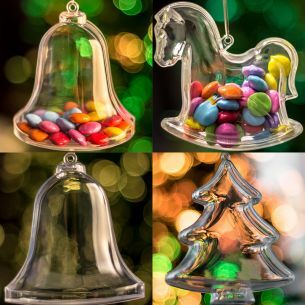 These clear plastic ornaments come in two pieces. Simply attach the two together and thread a piece of wire or string through the hanging loop on the top and it's ready to hang. 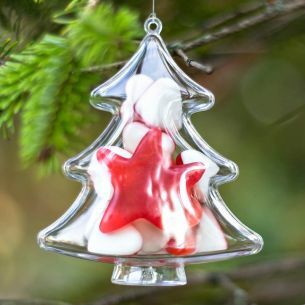 These clear plastic ornaments / containers come in two pieces. Clip both sides together, simple! Great for the creative type with the desire to customise! 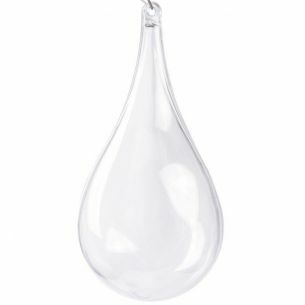 These "Water drop" shaped fillable Christmas decorations make for a pleasant change from the regular round baubles.